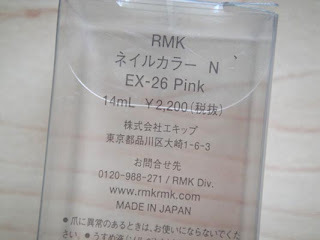 As planned I’m doing the RMK nail color N EX-26 Pink as my CotW today. A friend picked it up for me from Hong Kong. 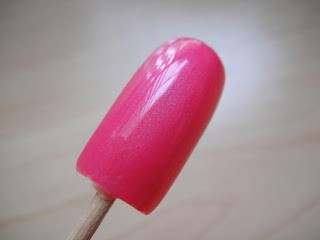 It’s one of the four Limited Edition nail colors from the Spring 2010 line. 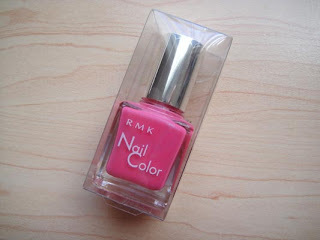 This is the first bottle of RMK nail polish I got. I have been wanting them for a while. For some reason I just have a feeling that this brand is going to be on my favorite list. There’s nothing to talk about the packaging. It’s quite simple and common for a Japanese cosmetic brand. I’m surprised that it doesn’t have the “Choose me, Take me, Open up” showing on the box. 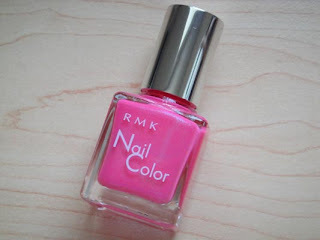 For nail polishes, RMK is on the expensive side among all the brands I own (other than Chanel’s Gold Fiction). It beats Lunasol’s ¥1500 for 10ml. There isn’t a lot of shimmer in it nor does it look creamy but the finish is definitely classy. Even with one coat the coverage is amazing. It’s completely opaque with fine luster. 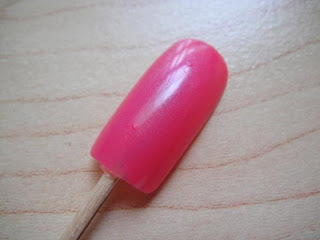 With two coats the color turns slightly darker but not dramatic. It dries up fast too so that’s a plus. 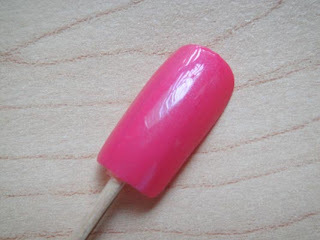 When I swatched it on my finger the other day, I noticed that it doesn’t scratch off easily. The lasting power is great too. After 5 days it hasn’t chipped on me yet. I really think it’s a high quality nail polish. oh, the color is really pretty. 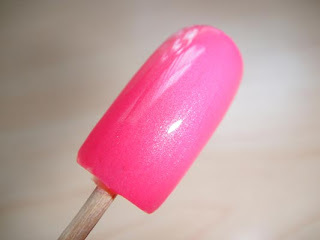 it has some nice sheen and shimmer <3 hot pink welcoming spring!